作者: Andrei Nikolaevich Lankov on 16 August , 2016. Recent economic sanctions created serious problems with exports of minerals from North Korea. Technically UN member countries are banned from importing North Korea minerals even though in practice it remains to be seen to what extent this ban will be observed by China. Nonetheless, there is no doubt that the share of minerals of North Korea exports currently close to 60% will drop soon. The North Korean foreign trade managers will have no choice but to look for different ways to earn foreign currency. Actually, the changes have already begun. And it seems that there are three fields where North Korean companies (often semi-private in nature) are likely to earn an extra buck. First, broadly speaking, fishing, and seafood production; second, the “sale” of North Korean workforces overseas; third, its developing light industry serving orders from China. Seafood has always been a major North Korea export. In the 1990s, before coal and iron ore took over around 2005, it was the largest export item. Most of the seafood was sold to China, whose huge population has a great appetite for the fruits of the sea. In some cases the North Korea seafood was relabeled by Chinese businessmen (for a hefty commission and with full knowledge of North Korea exporters) and then shipped to Japan and South Korea to be sold there as Chinese products. Now it seems that the trade in fish products will intensify. Unlike coal or other minerals, seafood exports are not subject to international sanctions. One might suspect that wealthy North Korea businesspersons, who until recently have made good money in coal mining, will switch to fishing. The second option is the sale of North Korea labor. Currently North Korea workers are employed in many countries of the globe, but most work in Russia, China, and the Middle East. The exact figures are unknown. We can be certain however that at least 100,000 North Korean workers are employed around the globe (actual figure may be higher). In the old days, the workers tended to be loggers, but now the majority are employed in construction, while some others work assembly lines in China. Thus, the North Korean workers probably bring a few hundred million dollars a year to the North Korean budget. This amount is not officially counted by official trade statistics, but it is seemingly one of the most profitable undertakings taken by the North Korea ― once again, untouched by UN sanctions. This is in spite of US secondary sanctions might target the individuals and corporations in these countries if they’re somehow involved with important and use of North Korea workforce. The third alternative is development in the development of light industry, usually working on the Chinese border. It’s a profitable undertaking because it does not require much start-up capital. North Koreas is also attractive because the cost of labor constitutes a significant part of light industry products. At present, young Chinese women in the border regions can expect at least $150 a month, while the North Korea women across the river could see $30-$40 a month as a significant income. There are various interactions between Chinese and North Koreans. 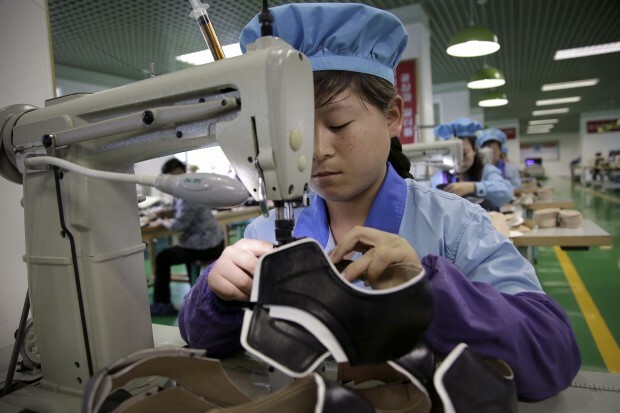 In some cases, Chinese entrepreneurs place orders in North Korea factories located near the border (it has to be near the border, since otherwise logistics would be a nightmare). North Korea factories are given sample garments to emulate and their products are then shipped to third countries via China, where they are often labeled “Made in China” to avoid any political complications. In more extreme cases, Chinese entrepreneurs invest in North Korea creating factories more or less from scratch, or perhaps completely renovate an old North Korea enterprise. This is risky, given the well-known propensity of North Korea officials to confiscate property and resources of successful overseas investors, but with some luck and good connection, they can succeed. It remains to be seen whether seafood, overseas work, and garments will be enough to compensate for the loss of income from mineral exports. Nonetheless, the experience has taught us not to underestimate the staying power of the North Korea economy. Especially since the days when a significant part of the economy became de facto privatized.